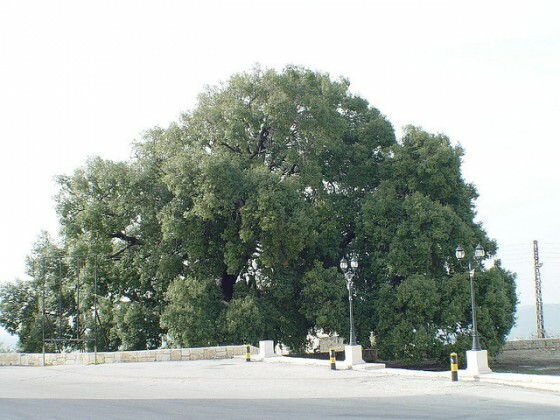 This Lebanese oak tree has survived for 1500 years, but many others were destroyed in recent forest fires. Sawdust from Lebanese cedars has been found in ancient Egyptian tombs, and the Bible recounts how the trees were brought to Jerusalem for the building of Solomon’s Temple. The cedar even appears on the Lebanese flag. But with climate change and the devastation caused by forest fires, Lebanon can’t take these great trees for granted. Fortunately, the local NGO Jouzour Loubnan has stepped into the breach and begun planting three ancient species— cedars, almonds and carob. Carob and almond provide fruit, while planting native trees ensures that the ecosystem can sustain them. The trees will be watched carefully during the first three years to protect them from livestock and disease. Most trees will be planted strategically in high, arid places where they will have the most effect on the environment and encourage biodiversity. Jonzour Loubnan plans to plant 10,542 trees, one for every square mile of Lebanon. “This initiative is illustrative of the spirit of conviviality that rules in the country of the Cedars, hopeful that the seedlings will be tokens of hope for the whole of Lebanon,” said French Embassy charge d’affaires Didier Chabert. Next Next post: ETV’s Micro Turbine Battery Charger A Game Changer for EVs?